Milos is a volcanic island in the southwest of the Cyclades which is most famous for the Venus de Milo (statue of Aprhodite which now resides in the Louvre) among other things. But, let’s face it. History is history, right? 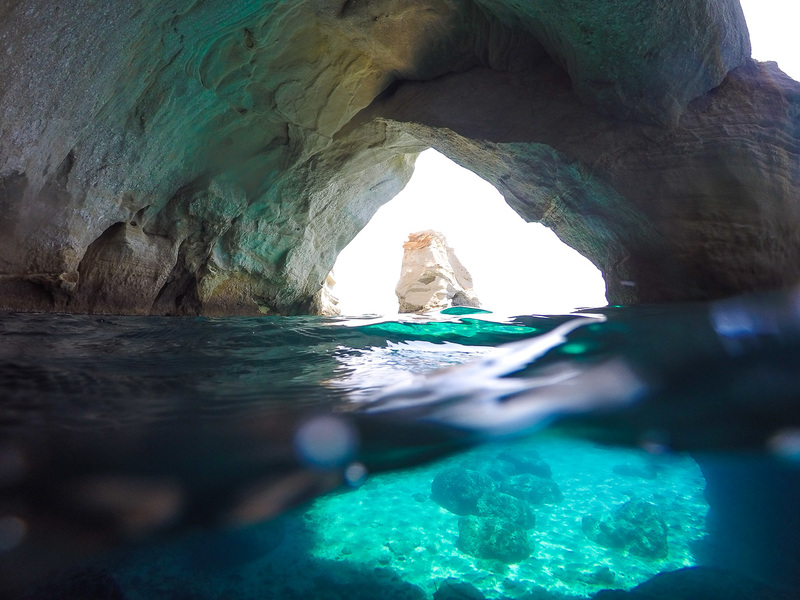 What’s far more intriguing to me is the fact that the Greek island of Milos is home to more than 72 different beaches. That’s right seventy-two different beaches. I could go on for days about how much I love this island but before I begin to tell you everything you need to know about the island of Milos, I’m going to be straight up with you and let you know that Milos is hands down my favorite Greek island. Follow some of the advice found in this travel guide and I’m pretty sure it will become yours as well. Milos — Stunning sunsets, beautiful beaches awash in the colors of the Mediterranean Sea and white-washed Cycladic villages. Milos is the 5th largest island in the Cyclades archipelago, located west of Santorini, between Heraklion, Crete and the Greek mainland. Some 5,000 people call the island home, making their living through fishing, farming, agriculture, mining and tourism. Just four hours by ferry from Athens, Milos is an unspoiled volcanic island which is still lesser known to many tourists when compared to islands such as Santorini, Mykonos and Rhodes. If beaches are what you’re in search of — get ready to be absolutely blown away. The north and south shore are the most popular, while the beaches located on the east and west coasts are well off the beaten path and will be sure to be a highlight for those of you who consider yourselves to be adventurous travelers. Seven towns make-up the island of Milos: Adamas, Plaka, and Pollonia are the larger towns, with Plaka having some of the best sunset in Milos. Tip: Utopia Cafe is the best place to catch the sunset in Plaka — be sure to arrive early to get a seat. The other four towns of Klima, Mandrakia, Fourkovouni and Fyropotamos are really more like small fishing villages, but well worth a visit. 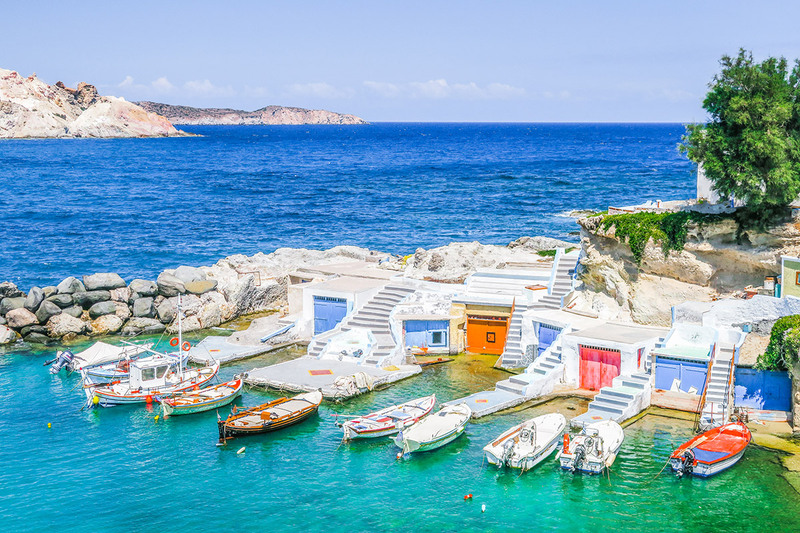 Mandrakia is charming for it’s colorfully painted boat sheds built into the rocks — in other words a photographers dream. 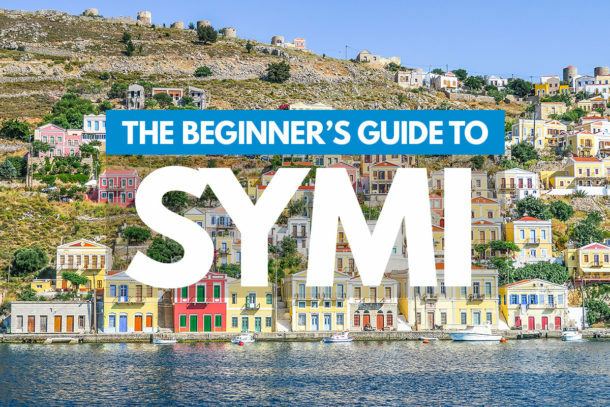 You have two options when traveling to Milos — Take the ferry or fly. If you’re comfortable with taking the ferry you can go ahead and purchase your tickets ahead of time using the ferry booking below. There is a high-speed catamaran which takes about four hours from Piraeus. It’s important to note that timetables for the ferries change frequently so be sure to contact a Greek tourist office or book your tickets online to assure you have the most up to date times. One of the better greek ferry booking systems is powered by a company called Ferries in Greece, a major greek ferry booking hub that helps more than 35,000 passengers get to and from the Greek isles each year. I’ve used Ferries in Greece to book ferry tickets in the past and I highly recommend you use them for your next Greek Island trip. Ferry tickets sell out so don’t be surprised to find out your ferry is sold out if you leave it to the last minute. Athens’ Port of Piraeus is hectic and very spread out. Be sure to figure out which part of the port that your ferry is leaving from prior to taking a taxi to the port. For reliable taxis with reputable drivers, download and install the app called TaxiBeat on your phone. It’s the best way to get around Athens. The flight is a quick up and down, taking only 40 minutes or so. If you’re pressed for time, flying can be a great way to optimize time spent exploring. The island’s airport is located about 4 km (2.5 mi) from the port town of Adamas. Ready to price out some flights to Milos? If so, click on the button below to get started. 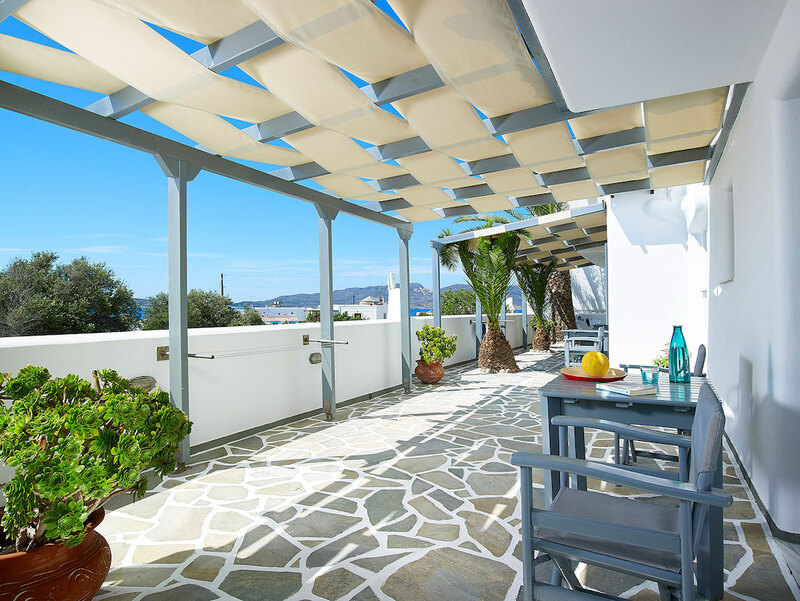 In Milos it’s easy to find the perfect place to lay your head each night. Plus, you can save up to $44 off your first Airbnb stay using the following link: Airbnb Promo. Everything from airbnb apartments to traditional rooms in small, family run hotels are available in the main port city of Adamas. Now, if you know anything about me you would know that I’m all about the beaches (no pun intended). If there’s one thing I can assure you it’s that a trip to Milos will leave you with a sore neck. Why? Because it’s almost as if you can’t go a few miles without spotting one beautiful beach after the next. In other words, getting your tan on won’t be an issue. Milos is like no other destination that I’ve ever visited when it comes to the diversity of the beaches. From golden sand beaches to pebble beaches, cliffside beaches and a beach that looks like you’ve landed on the moon, Milos truly has it all. For those seeking more action adventure activities Milos does not disappoint. Sea-kayaking, scuba diving, windsurfing, hiking and even mountain bike riding are all offered on the island. Exploring Milos by sea is highly recommended and a day voyage on the “Oneiro” is an absolute must. Once onboard this roomy Beneteau 400 you can swim in clear blue waters, explore sea caves and enjoy a guided tour by Oneiro’s experienced captain. This tour is rated #1 on TripAdvisor and for good reason. For me, personally, the Oneiro boat tour was one of the highlights of my trip to Milos. 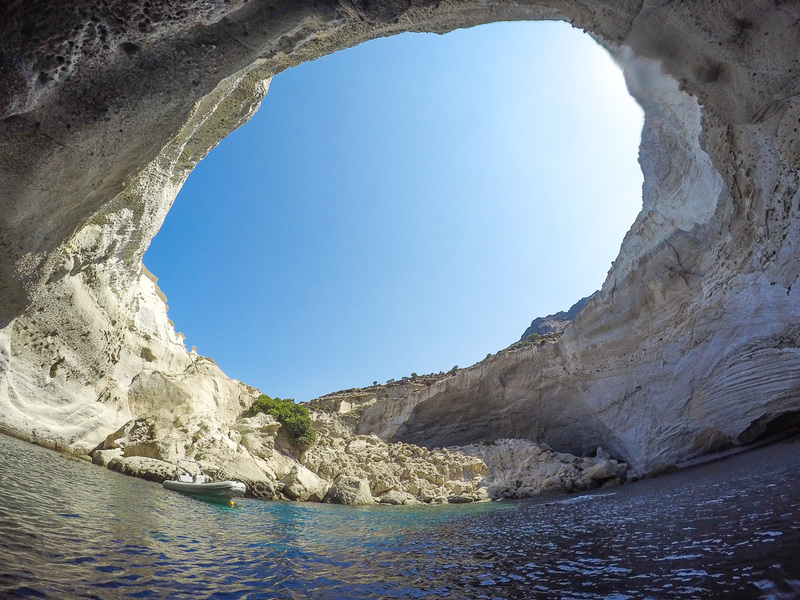 Oneiro offers full day boat excursions that take you along the southern coast of Milos from Paliochori Beach to Kleftiko Beach, the most southwestern tip of the island. The total cost per person for this tour is approximately €75 and the price includes three meals (light breakfast, full lunch and dinner) snacks and drinks. It’s a full day so be ready to be up early and back before sunset. The tour lasts approximately 8-9 hours but it flies by as you’re constantly in and out of the water exploring different parts of the island. In all honesty, our tour with Oneiro was one of the most professionally run tours I’ve ever been on. The sheer value of this tour is absolutely out of this world. It could easily be priced at €85-90 and it would still be worth every penny. More info: You can book your tour with Oneiro by heading down to the Adamas marina in the evening and finding their boat. All of the boat tour companies setup their info kiosks around sunset and Oneiro is usually one of the first boats from the left if you’re standing facing the line of boats in the marina. 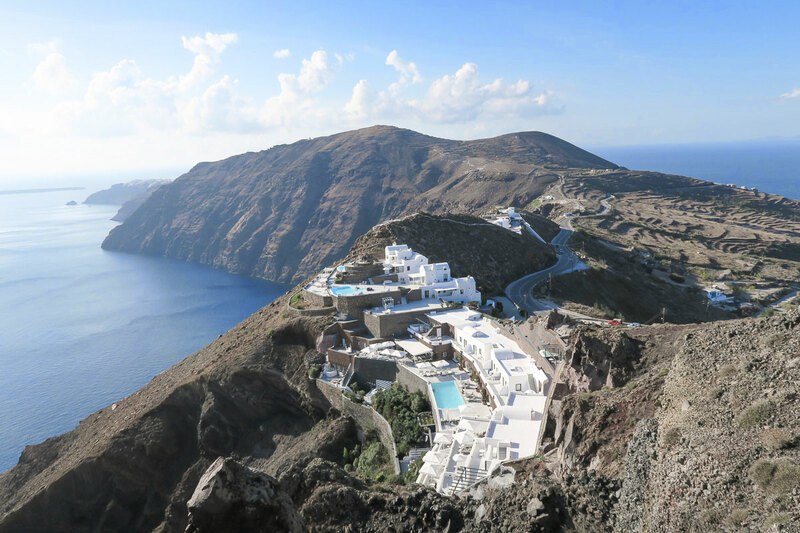 Adding a stop to the Greek island of Santorini isn’t only easy, it’s something I highly recommended. The ferry from Milos to Santorini takes anywhere from 2 hours to 6 hours depending on the type of ferry you choose. If you only have time for a day trip to Milos, be sure to take the high speed ferry so you can spend more time exploring the island than getting there. So you made it to Milos, now you need to get around the island. 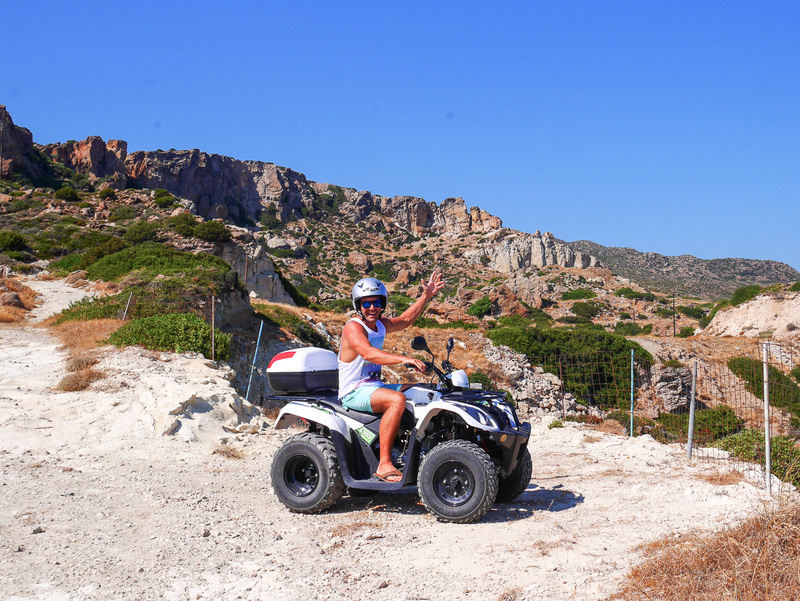 There are a number of car and motorbike rental agencies and given that Milos is a rather large island renting a 4-wheeler or car is recommended. Milos also offer local public transportation, with a bus system that goes to all seven towns and a number of the beaches. The bus terminal is located in the main square in the port of Adamas in front of the Portiani Hotel. This is where you’ll also find the boat excursion dock. Additionally, taxis are also readily available. I would say NOW is a good time! But in all seriousness Milos is blessed with a Mediterranean climate which mainly consists of mild temperatures, calm seas, and warm water. In the winter months you can expect to find some rainy, cool days and in the summer it’s warm and dry. July and August tend to be a favorite time of the year for lovers of all ages to visit, so make sure to book your accommodations, car rentals, and ferry or airplane tickets in advance. If you’d rather experience Milos when it’s on the quiet side, the island has far fewer visitors in June and September and you may be able to call the island your own (minus the locals of course!) in April/May and October/November. In July, the island organizes a festival with various cultural events, including music and delicious local fare, like watermelon pies, cream cheese pies and bonbons with white pumpkin. The months of April and May are when the island is at its most beautiful thanks to the winter rains which have turned every green and brought into bloom beautiful wildflower. Though not as famous as some of her sister Greek islands, Milos should not be overlooked. 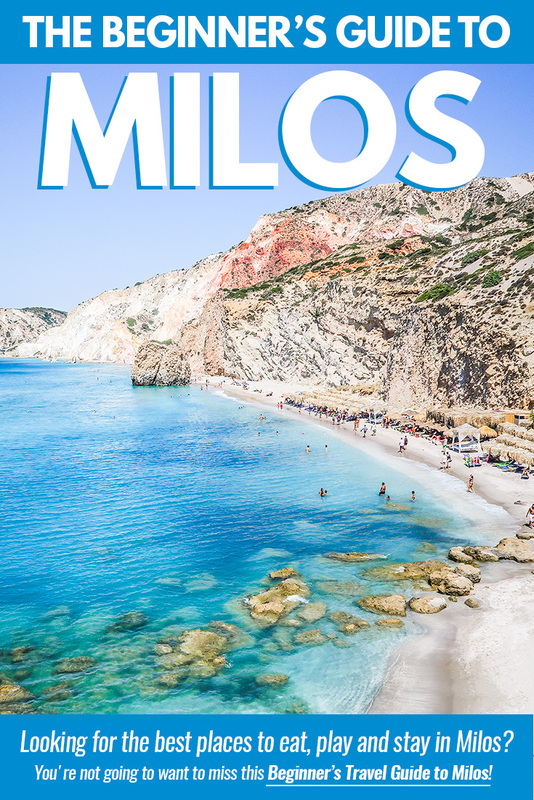 The island’s clear blue and green waters, beaches of incomparable beauty, and stunning coastline, some say the most interesting in the world, give Milos a personality all her own. As Milos remains still somewhat untouched by chain hotels and pre-packaged tourism, you can truly discover Milos as the island has been for thousands of years. It is place full of wonder and surprise perfect for families, couples as well as solo travelers. Picture yourself on the lunar landscape in Sarakiniko, or the picturesque fishing village of Klima. How about a soak in the thermal springs to rejuvenate your body and soul? If you are looking for a lesser known Greek island with unmatched beauty Milos is the place for you. Pin this graphic below to save it for later! Great, that island is looking so awesome and have so many good things to enjoy. Best palce to enjoy natural things and stunning photos you shared. Hi Ryan, I miss your videos on youtube. I love your blog as I wish I could travel the world too. I live in kansas City, I’m from Mexico and my family lives in Playa del Carmen. Thanks to your vids I was able to enjoy Playa even more when I visit my family. Hope you’re doing great!!!!!!! Thanks for reaching out! Haha! Yeah, it’s been a while since I uploaded a video. I’m so happy to hear that you enjoyed the videos. For more about Playa you should check out my friend Seth over at EverythingPlayadelCarmen.com. 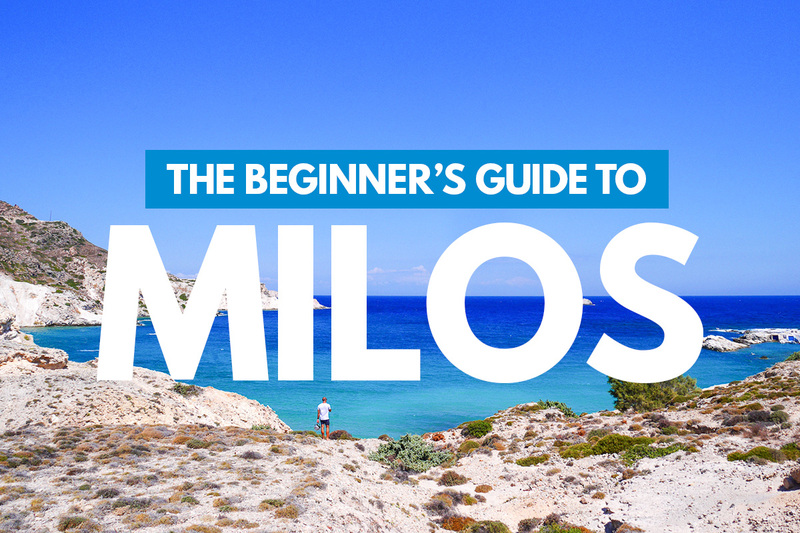 I have always been thinking to visit Milos but I was lacking with appropriate information. Like Where? What? How? and all, but after seeing your post feels like I have my personal guide. Pretty good place to travel with family and kids. Thank you so much for helping me out Ryan. Definitely am gonna travel within few days. Keep up the work. Thanks Jennifer! Best of luck on your trip. Hey Allie — Glad to hear it! 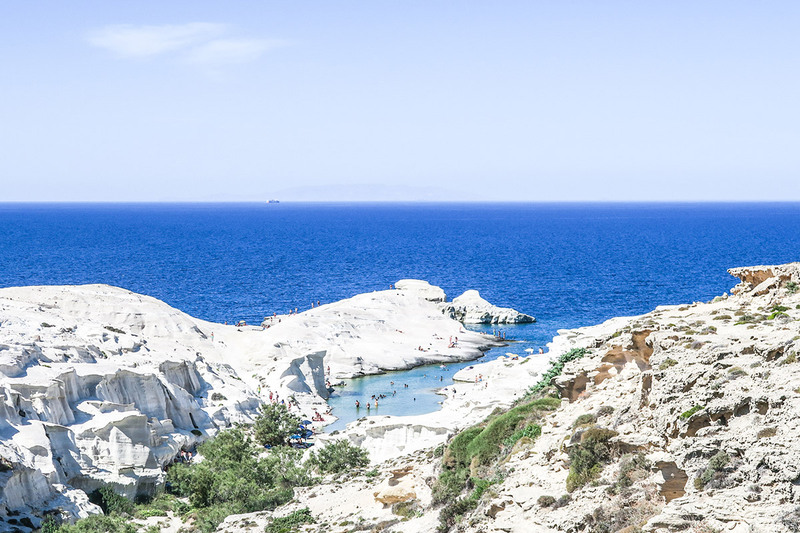 When are you heading to Milos? Wow, thank you for the great tips, I now know which islands I’d like to do and feel much more confident booking our trip. Question for you? What is the language barrier like? Worried about transfers and uber do they speak English? ???????? There are no language barriers on the islands as the locals fully rely on tourism. No worries, just about everyone speaks English. Also, Uber is not found on the islands but it is found in Athens. Most of the drivers in Athens should speak enough English. With Uber you enter your destination in the app and it’s pretty much automated from there so even if the driver didn’t speak much English, he/she still knows where you need to go. Hi! Can you share some insight about food/restaurants to try in Milos? I add to Milos for travel in my next vacation. I am a traveler and i especially looking for beach for travel. Because beach are full of treasure and its my hobby to hunting treasure with my metal detector. Glad to hear it, Barbara! Thanks for the comment. I planned Santorini for our honeymoon but unfortunately couldn’t go. Pictures are beautiful. I love to explore islands and kayak around. Milos sure will be my next destination and ferry ride to Santorini sounds perfect to me. I’m so sorry to hear this, Mike. Hopefully you’ll get to experience it in the near future. You must combine a visit to both Santorini and Milos. It’s a must! I am from India. Planning for a trip to greece. I have santorini, mykonos and athens on the list. Seeing your blog, we want to include Milos as well. But just wanted to check if there are any chances of getting Indian food as my son is 3 years old and not sure what type of food options are available. And, how many days do you suggest for Milos? 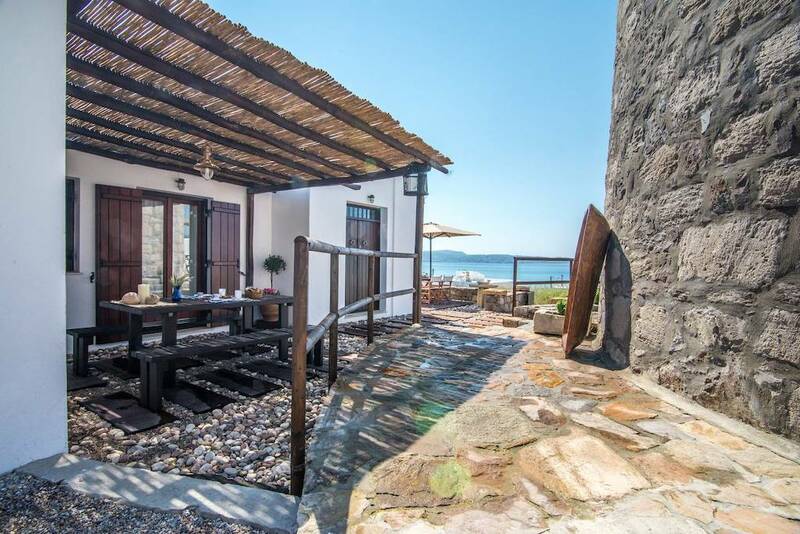 We want to choose between crete/rhodes and Milos. What’s your say? Please advise. Hmm. I’m not so sure that I’ve seen any Indian food on Milos. I did enjoy a great Indian meal on the island of Rhodes a couple years ago. My best advice would be to google Indian restaurants in Milos to see what you can find. If you’re wanting to explore the beaches, take the boat trip with Oneiro and enjoy the delicious food, I think that 2-3 days is perfect. Could you suggest where can I find beautiful picturesque white sand beach (not a pebble beach) anywhere in the above listed Islands? Also, we will hire a car, so, what places can we visit in Milos in 3 days? Hi Niharika – Thanks for reaching out. I think your itinerary is spectacular and I’m jealous of it. ;-) Please add Milos to your list. You will not regret it. As a matter of fact, I expect that you’ll be back to tell me all about your trip. I hope you will! Yay! Just contacted Oneiro after reading your article. We’ll be visiting Milos and Sifnos in June. Just a question, what are the restaurant prices like in Milos? I’ve tried looking for menus but can’t really find much to kind of figure out our food budget… Hopefully food will be a tiny bit more affordable than here in merry old London…. Also, can you suggest any ‘secret’ or less known amazing spots for a romantic picnic?? Typical meals at Greek restaurants range between 6-10 euros/plate. Sometimes more depending on where you’re dining, obviously. In comparison to most parts of the world, it’s pretty affordable. Awesome. Thanks for the suggestion! Happy travels! I love Milos! Went there last summer for the first time and will go back this summer in July for 9 days. Will stay 3 nights in Pollonia and 6 nights in Adamas. Milos is what I always imagine when I was thinking about a Greek island, white villages, turquoise sea, not too big and too crowded and very relaxed atmosphere! Excellent! You are going to have such a great time (yet again). Enjoy your trip and thanks for the comment. Hello. Milos looks beautiful! My husband and I are planning a trip to Greece for our 25th wedding anniversary. We are from Canada. We are planning on being there sept 24-oct 8/18. I was thinking to fly into Athens then immediately leave by high speed ferry to Fira or Oia Santorini for 4 nights then ferry to Chania Crete for 5 nights then ferry back to Athens for 4 nights. Every island is beautiful it’s getting difficult on which to select to visit. We are beach people for sure and want to see some history also. Are the above the best places to visit? Is the weather beach weather during our dates? 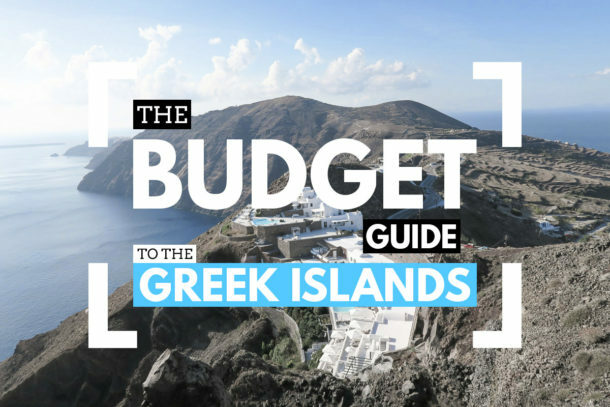 We are trying to do Greece on a budget, thinking to uses Airbnb for where to stay. Any suggestions? Congrats Dawn! Normally I recommend spending a couple days in Athens before heading to the islands but in this specific case I would recommend the reverse and that you spend the time in Athens at the end of your trip as you’ve seem to already have planned (for obvious weather related reasons). I think the itinerary sounds great. The only thing is that I’ve heard Crete in itself is it’s own trip/adventure. It’s a huge island that takes serious time to get around. As far as beaches go I highly highly recommend you visit Milos. It’s an easy trip from Santorini and you could also throw in a visit to Folegandros as well which is said to also have incredible beaches. I have yet to get to Folegandros but it’s high on my list as I have many Greek friends that rave about it. It’s an island which is still very “under the radar” which is great. Best of luck on your trip and please let me know if you have any further questions. Hi Ryan, from what I see you may be on Milos right now! We are heading there next July….2019, from Canada, with our family of 5. Youngest 12. My plan was Crete, Santorini(limit the nights as it sounds rather pricey) , Milos and finishing in Athens. I’ve been worried about getting around Milos as we don’t want to rent a car….should we stay in Adamas and would we be able to get to some of the most beautiful sights? We plan 3 or 4 nights. Hi Diane — Yes, I’m currently in Milos as we speak. ;-) It’s as beautiful as it sounds! Your itinerary sounds great. One thing you must know is that you will need a car to visit some of the best beaches/sights on Milos. Please do yourself a favor and get yourself an international license before arriving here as a new law was recently passed and they do not allow anyone without an international license to rent vehicles here anymore. There is always the option to take a taxi to different spots on the island but the rates aren’t always reasonable and you won’t always be able to find a taxi to take you back to town after you finish your sightseeing. I always stay in Adamas (the main port town) out of preference. Plus, I find it to be very convenient whether you fly in (only 4km from the airport — 15 EUR Taxi) or if you take the ferry you’ll be dropped right in town. I would say 3 nights is plenty in Milos. Best of luck on your trip! Have a trip planned to Greece this summer. This article just makes me hat much more exited! Thank you for the great information. This blog post has been super helpful in my planning for this summer! I am planning to stay in Milos for a total of six nights. Three nights in Adamas to explore the island, and then three nights secluded in Fourkovouni enjoying the water and beauty there. I wanted to ask you about the three nights in Adamas. Will I be able to get around with an ATV? Basically wondering if the streets and island are easy to get around with an ATV or will I specifically need a car? and do you need an international license to rent an ATV? Hi Taraneh. Thanks for the comment. I appreciate the feedback! Congrats on your upcoming trip. I’m jealous that you’re heading back to one of my favorite islands. Also, I have never visited Fourkovouni so I’m hoping you can share your experience in a comment here to let us know how it goes. As for your three nights in Adamas and renting an ATV — Yes, you should be perfectly fine. The only thing to note is that you must arrive prepared with an international drivers license. Last summer I was in Milos and they had a crackdown on rentals for both cars/atvs and now they require that you have an Int’l drivers license. Best of luck and I hope to hear from you soon! wow i just bumped onto this blog and i love every idea. My friends and i are planning a trip to Greece around April/May, what is the weather like then? Hi Clara. Glad to hear it! The weather will still be quite cool in April. Mid to late May would be best for a visit to Milos. You’ll not only have nicer weather but you’ll also avoid the summer crowds.